It's Vintage Vogue 8789, done in a cute novelty print, and has become affectionately known to some of us as "The Skunk Dress." Look closely and you'll see them! 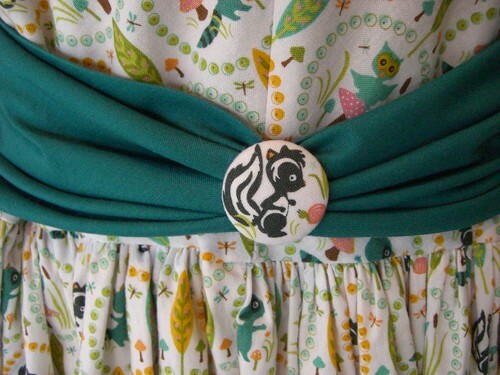 I think the single skunk centered on the belt's covered button is a cute detail that really punctuates the whole look. This fabric is part of a group that includes many other charming prints of trees, deer, birds, and other flora and fauna in the same style and color palette. Treadle's Spring Sale begins tomorrow, Thursday, March 22nd! 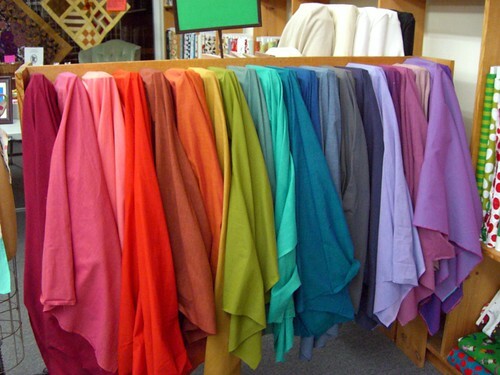 ALL fabrics and trims are at least 20% off, and many others are 30-50% off! Patterns are also 20% off, including independent designers such as Colette, Oliver & S, Amy Butler, and Decades of Style. How about something for spring, like this sweet blouse, Colette Jasmine? 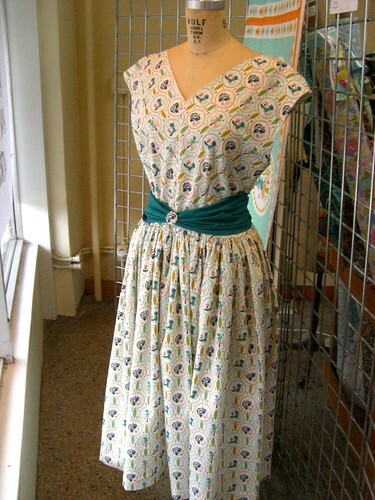 Perhaps done in one of these lovely shot cottons currently in stock at Treadle. The sale runs through Sunday, April 1st, so hurry in!